Should You Consider a Separation Instead of a Divorce? Not every marriage ends with an epic fight and an eternal hatred for one another that can never be quenched. In certain cases, a marriage can just quietly wither until one spouse (usually the woman) simply decides that she would be happier on her own. This is especially true of “gray divorces,” divorces that take place among couples 50 and older. Divorce is always an expensive proposition, but it can be financially devastating for older women. Many of today’s 50- and 60-year-old women stayed home to raise their children during their working years, or deferred their own careers for their husbands. As a result, after a divorce, they may experience a severe drop in lifestyle. 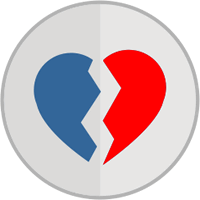 Could a separation be a better answer than divorce? Older women are more likely not to be working or to work part-time than older men, which means that they don’t receive healthcare benefits through their work. If a wife receives health insurance through her husband’s policy, that’s a hard benefit to give up. Even the most modest private health insurance policies can cost hundreds of dollars a month, and older Americans certainly want to seek as much coverage as possible, since they are more likely to need medical care than their younger, healthier peers. Moving from a good healthcare policy to a bare minimum policy could result in very high co-payments and small coverage caps for newly divorced women. It may, therefore, be smart to stay married and on a husband’s policy until the wife is eligible for Medicare. Here at WIFE, we’ve written several articles on a little-known-rule about Social Security. If one spouse earned significantly more than the other, the lower-earning spouse can actually opt to receive a benefit equal to 50 percent of the higher-earning spouse’s Social Security benefit, even after the couple is divorced. For a wife who didn’t work or who only worked part time, earning half of her ex-husband’s Social Security benefits could be a really good deal (especially since it doesn’t take away from the ex-husband’s benefits). In order for an ex-spouse to take advantage of this rule, she must have been married to her spouse for at least ten years. If a couple isn’t quite up to this ten-year mark yet, it may be smarter to simply separate until the ten year mark is reached. A civilian spouse of a military veteran can earn certain helpful financial benefits when the marriage hits the ten-year and 20-year marks. If a couple is close to either of these important anniversaries, it can make a huge difference to the civilian spouse (usually the wife) to stay married for the remaining time so that she can get those extra benefits. The final reason to stay married has nothing to do with finances and everything to do with belief. Certain religious sects teach that divorce is a sin. If this is something that a couple believes, then a separation can allow them to respect their religious beliefs without forcing them to stay in an unhappy relationship. Still not sure if you should get a divorce or simply separate? 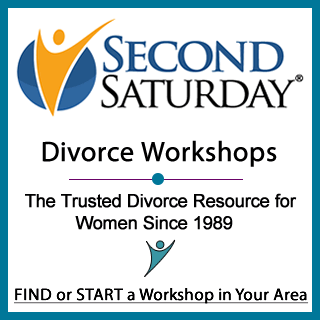 Educate yourself on every aspect of divorce at the next Second Saturday Divorce Workshop, and make sure to keep reading in our helpful divorce article archive for women. Separation is one of the good thing than divorce as it’s a kind of chance which was given to both the people and they have also the choice to change their decisions not to get divorced. We’re married 18 years and separated 6 years. In separation settlement said my ex own 100% retirement benefit, pension. He retired 2 years ago, next year I will turn 62, can I collect retirement money from him? If yes, what do I need to do to get it? It sounds as though he was awarded 100% of the pension, so it is his, not yours. I means his social retirement not pension from his work. Can I have it or not? It sounds as though he is already of retirement age. Once you turn 62, if you are not working you can begin collecting reduced social security benefits. Those benefits will be the greater of your own benefits, or divorced spouse benefits based on his earnings history.